Sherry FitzGerald O Meara brings this well presented three-bedroom detached bungalow to the market. 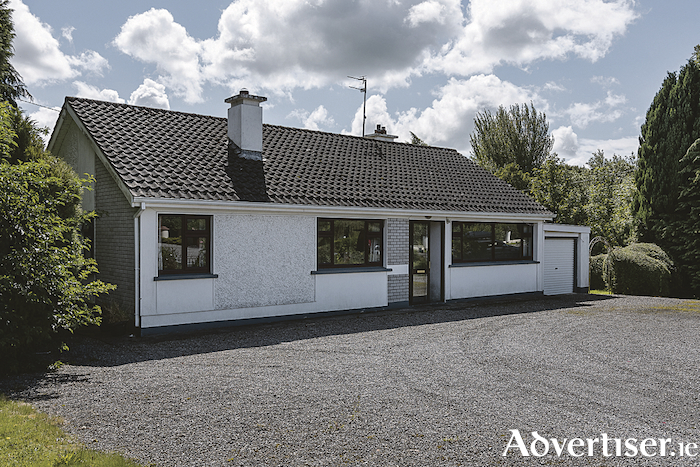 Sitting on a roadside site in the Ballykeeran/Glasson area of Athlone, this home is just a few minutes drive from all essential amenities and attractions, while also enjoying easy access to the M6 Motorway. The interior of the home boasts three bedrooms, two reception rooms, one bathroom, central heating and attractive decor. The exterior has well kept gardens, a garage and ample room for private parking. The property is approximately 112.0 square metres with a BER D2 energy rating. For more information or to arrange a viewing call agent Helena Kenny of Sherry Fitzgerald O’Meara on (086 ) 8119190.